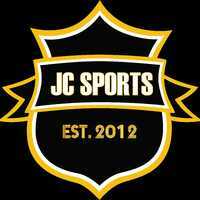 Founded in 2012, JCSPORTS has been helping build and promote sports in different communities. With knowledge in technology, we built this platform to help fellow athletes like ourselves to connect with eachother through the sports they love. Below are some of the features that jcsports offers. 7 months ago for JCSPORTS Soccer games - Every Saturday around 10:30AM. FREE!!! 10 months ago for JCSPORTS Soccer games - Every Saturday around 10:30AM. FREE!!! I'm a defender, looking to play soccer with other players. I'm looking to play soccer with other players. I play multiple positions. I'm a midfielder and a forward, looking to play soccer with other players. Also if anyone knows of a team in a competitive league, I'd be interested in that too as I am new to Toronto. I'm a forward, new to Toronto from saskatoon looking to play basketball with other players. I'm a forward and a midfielder, looking to play soccer with other players. I'm a forward, looking to play soccer with other players. I'm looking to play soccer with other players. I’m not a beginner but it has been a long time since I last played. I'm a midfielder, looking to play soccer with other men teams.